A Fusion of Aquaculture, Ingenuity, and Art! 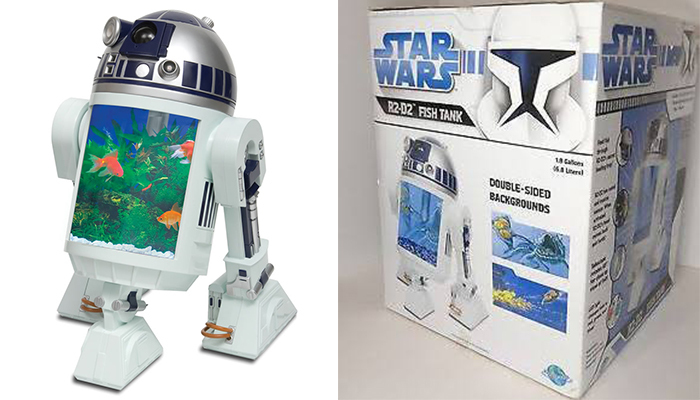 Modeled after the most well-known astromech droid in the galaxy, this R2-D2 holds a 1.75 gallon fish tank in his central compartment. As if a Star Wars themed aquarium wasn't enough, the domed head rotates with any vocal command you issue and he utters his familiar “bleeps” from the movies. His radar eye houses the eyepiece to a built-in periscope, providing you with an intimate view of the aquatic activity below. Although discontinued in 2008, there are still some floating around out there on Amazon and Ebay, much like when the Millennium Falcon released its claw from the Imperial Star Destroyer. Travis has been an entrepreneur since the mid-90′s, with a background centered around information technology and engineering. He is the marketing guru of the team, implementing the myriad of ideas and concepts. His passion for decades has remained the innovative and practical side of fishkeeping, focusing various Pevicachromis species, Monocirrhus polyacanthus, and Mastacembelus erythrotaenia. 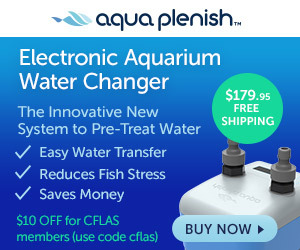 In 2013, he began leveraging his technological and engineering background to develop an efficient, cost-effective filtration system, designed with home hobbyists and breeders in mind. Wondering where the comments are? We encourage you to share using the buttons above and start the conversation with your friends. Be the first to know out about our upcoming Events, Workshops, New Products and Product Demos, Special Promotions, Contests and Sweepstakes. ©2019 Central Florida Aquarium Society.